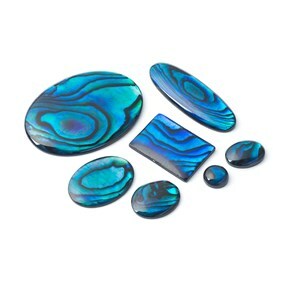 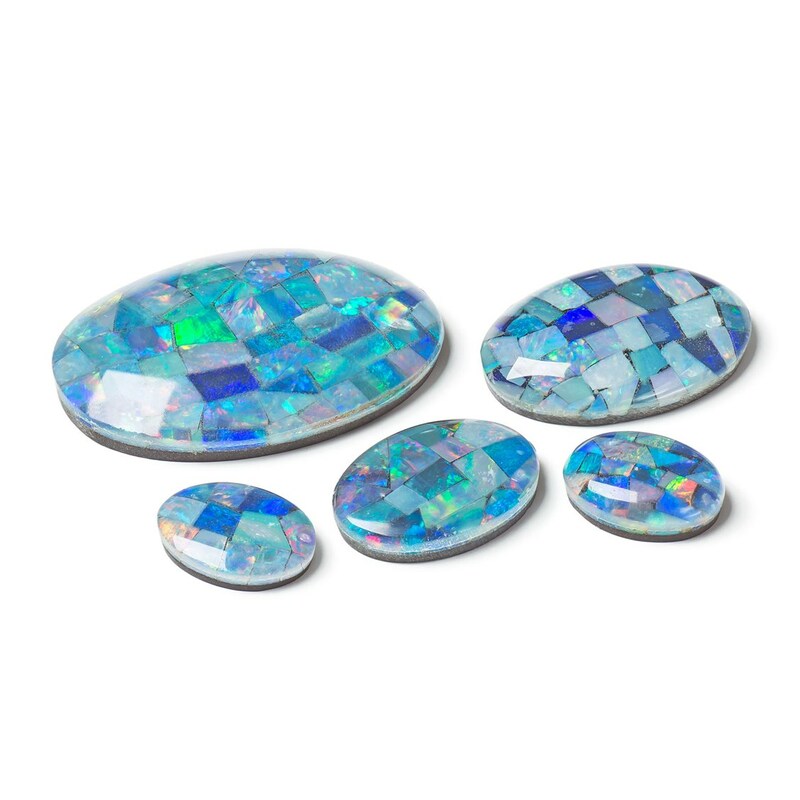 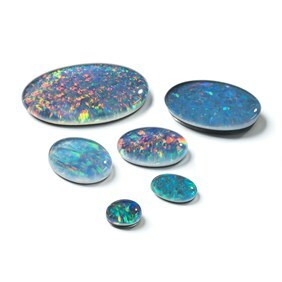 These exquisite opal mosaic gemstone cabochons are made in the same way as opal triplets (made from three layers, with a very thin slice of opal sandwiched in the middle between a clear quartz cap that protects the opal and the black onyx backing) but they have a mosaic of small pieces of opal. 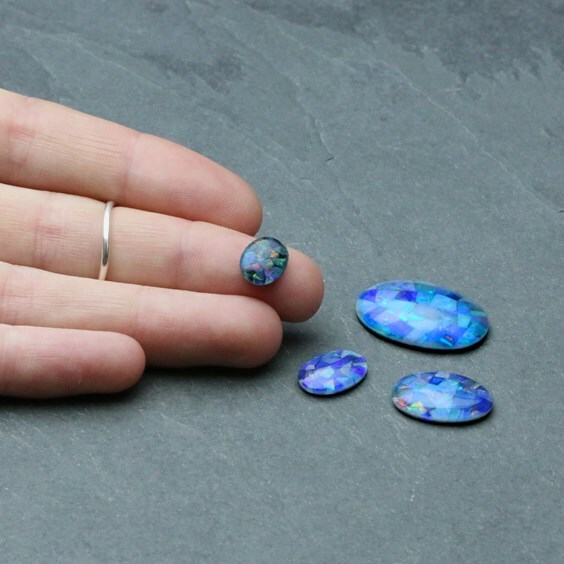 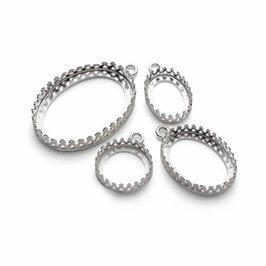 The variety of blue and the opalescent fire make these a beautiful and intricate looking stone perfect for setting in silver for a stunning unusual piece of jewellery. 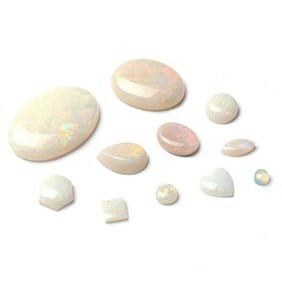 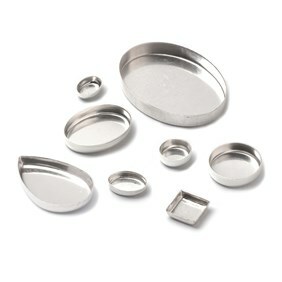 These cabochons have a flat back and domed top.